This story is unlike any historical crime novel I’ve read before – it’s fascinating, witty and rather hilarious. Romping along at a jaunty pace, the story is filled with the sights, sounds and smells (and trust me, there are a lot of smells, many of them quite unpleasant!) of Victorian London, whisking you along for the ride. Campbell Lawless is finding his feet in the detecting profession. He throws himself into his cases, determined to uncover the mysteries behind the ‘great spouts’ of water that spring up at strange locations across the city – outside the recently built Euston Station, at curtain call on a London stage to name a couple; why in a chain of seemingly impossible burglaries of wealthy houses little is taken, and who (and why) someone is stealing the workings of clocks. Aided by super-smart Librarian, Ruth Villiers, Lawless works tirelessly to piece together the clues he finds, whilst staying on the right side of his rather grumpy boss, Wardle. In the course of his adventure, Lawless has encounters with the men behind the new underground system, newspaper editors, actresses, revolutionaries, and even a Prince. Each player in the story is a well-drawn and fabulously larger-than-life character. 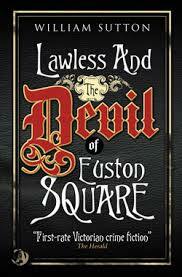 Lawless and the Devil of Euston Square is William Sutton’s debut novel and the first in a series of mysteries featuring London policeman, Campbell Lawless. I’m very much looking forward to the next one. Pilgrim has retired from the spy life. He’s walked away from the job, written his book, and disappeared into a new life in a new country. But when NYPD cop, Ben Bradley, comes to call he realises that he didn’t erase his previous life (or lives) as thoroughly as he’d thought. Drawn back to New York, Pilgrim is pulled in to help solve a seemingly unsolvable crime – a woman found in a bath of acid, all forensic evidence destroyed. He recognises the case – it’s straight from the pages of his book – and finds only one small clue to the whereabouts of the killer. But that small clue, and the horrifying discovery of the US intelligence agency, sets Pilgrim on the first steps of an against the clock race to prevent a devastating attack on his country. 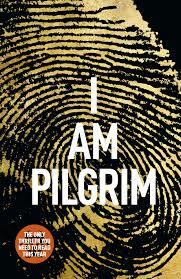 It’s tough to give a worthy description of I AM PILGRIM. Perhaps it’s a spy thriller, it certainly immerses the reader into the world of espionage and counter-intelligence, like a cross between Bourne, 24 and Homeland. But it’s also more than that. As a reader it feels like you’ve been sucked inside the private world of Pilgrim – you see what he sees, know what he knows, and feel what he feels – and that’s one hell of a scary place! As Pilgrim pursues the man believed to be preparing a terrorist attack on US soil, he learns how the events in his life have led him to believe in the absolute necessity of the devastation he is planning. What I found particularly powerful about this story is how it builds a vivid picture of the life of the antagonist. It allows the reader to understand his conviction, although not forgive the horrendous actions he chooses to take as a result. A must-read for fans of spy thrillers, action thrillers and stories which have you thinking about the characters, and their world-apart realities, long after you’ve finishing reading the final page. Events Alert: So You Wanna Be A Crime Writer? It promises to be a lively event, with a combination of readings, conversation, panel debate and audience interaction. And what’s more, it’s FREE! Beautifully crafted, this novel is a real treat. Sheldon is a man haunted by his past, by the people he has loved (and lost) and, having uprooted from New York to Oslo, is more than a little baffled by the world he now inhabits. He’s cynical, stubborn, begrudges the aging process and (according to his grand-daughter) is experiencing dementia. He’s also very funny. 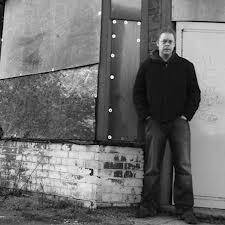 But his uneasy routine is upended when he witnesses the murder of his neighbour. Fearing that the man responsible will harm the woman’s young son, Sheldon takes the boy on the run. Together they cross the city and make their way towards the only other place Sheldon is familiar with, his grand-daughter’s woodland cabin. Divided from his young charge by age and by language, Sheldon draws on his memories to sustain him in this dangerous quest. He recalls his previous training as a Marine, and the advice of those who’ve been important players in his life, to help communicate with the young boy, win his trust and keep him safe. In doing so, Sheldon confronts much of the regret and guilt that he has carried with him for years. Unconventional methods of transport (and clothing) make their journey into an adventure. But danger is always close behind in the shape of the Balkan gang led by the boy’s criminal father, and one question hangs over the unlikely pair as an ever-present menace: how long can an elderly man and a child evade capture? Sheldon knows that he needs to prepare himself for one final battle. 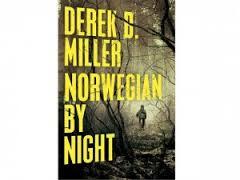 Norwegian by Night is highly atmospheric, showing Oslo through the eyes of a stranger to both the culture and the modern world. The characters are wonderfully vivid and real. This is a story that can make you laugh and cry on alternant pages. Both funny and tragic, poignant and pulse-thumpingly suspenseful, Derek B. Miller’s debut novel is hugely compelling and will stay with you long after you have finished reading. 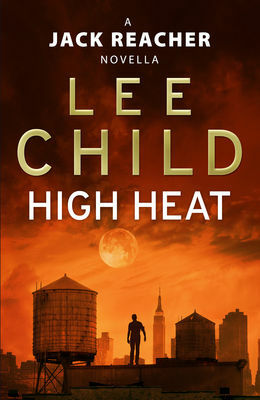 High Heat is a Jack Reacher Novella (Kindle Single). It’s 79 pages of fabulous Reacher action, and things get hot in more ways than one! Reacher is younger, but just as tough (and tall) as readers of the series have come to expect. It’s his first visit to New York and he’s only in town for a short while, but he manages to make the most of it: helping a woman with a problem, identifying a killer on the loose, and even having time for a bit of romance. If you’re looking for a sizzling summer read to tide you over until the next full Reacher novel comes out at the end of August, you should check it out. A must for Reacher fans and all those who love a great action thriller. The Bookmarks Festival, a not-for-profit event held in the Northamptonshire village of Helmdon near Towcester, runs this year on Sunday 25th August. 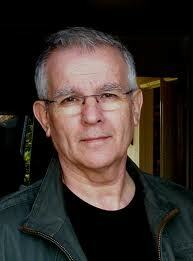 The main feature of the afternoon will be readings from three fabulous authors: Adrian Magson, Alison McQueen, and Garry O’Connor. Not only will each author being doing a reading from their own work, they’ll also be taking part in a Q&A panel and signing copies of their books. It sounds like a great event and what’s more it’s FREE! There’ll also be books to buy, literary related stalls, competitions and refreshments. 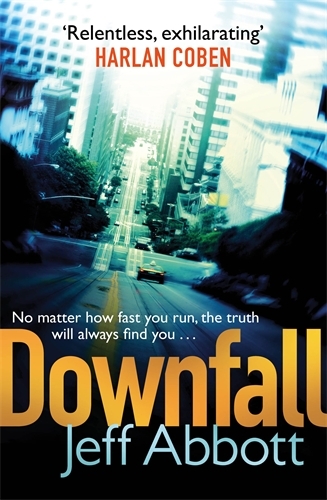 DOWNFALL is the third book in the Sam Capra series and begins with ex-CIA agent, Sam, living in relative peace, working for The Round Table and enjoying his cover life as owner of a chain of bars across the States. He wants a normal life, and this is as close to it as he’s had in a long while. But his peace is shattered when a young woman fleeing two male attackers rushes into the bar and begs for his help. Sam leaps to her aid, and in the process kills one of the men. As well as bringing him unwanted attention from the police and the media, this brings Sam to the attention of Balias – a master criminal who can make a person’s dreams come true, for a price. As readers of the series will have come to expect, the story charges along at a breakneck pace. Using first person narration for main character, Sam Capra, as he sets out to discover who this mysterious network is and why they are after the young woman, and third person narration for the other main point-of-view characters, Abbott weaves the stories of Diana – a young woman who has discovered a terrible secret about her mother, Janice – a mother who will protect her daughter at any cost, Holly – a woman enchained by the choice of her ex-husband, and Belias – a man who thirsts for power and control at the highest level – between Sam’s. The stakes are high for all of the principle characters; the question is who will succeed and who will fail. This constant raising of the tension made the story compulsive reading. DOWNFALL is an action thriller and so as you’d expect there are a lot of action sequences and fight scenes. Abbott is a master at the fight scene – they’re dynamic and tense with a real cinematic quality, making the reader feel like they’re in the scene ducking the punches along with the characters. What I especially like about his books, and this one doesn’t disappoint, is the locations these scenes often take place in – for example a child’s bedroom in a suburban house (the child is at school) – creating a great juxtaposition and additional conflict between Sam’s desire for domestic normality and the nature of his job. Tight plotting, high stakes and high action make this page-turner of story a must for fans of action thrillers. Highly Recommended [As are books one and two – ADRENALINE and THE LAST MINUTE].